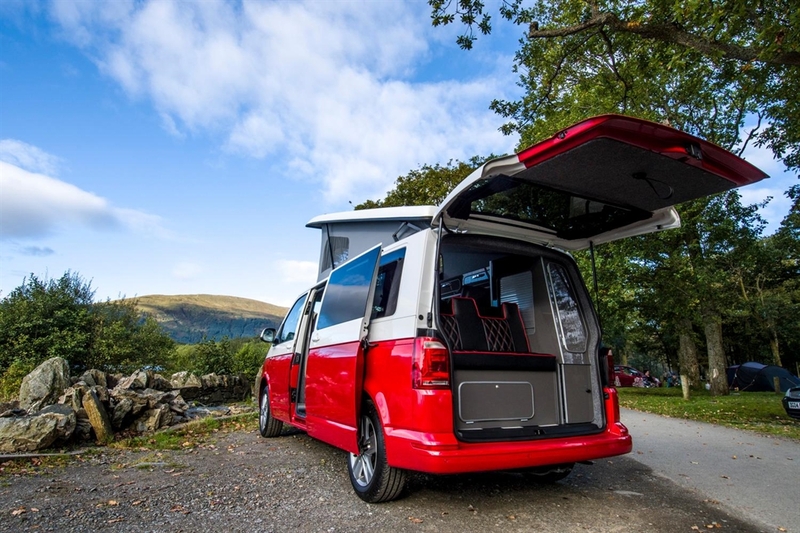 At Red Kite Campers we provide VW Campervan hire with a difference, think modern luxury with a retro twist. 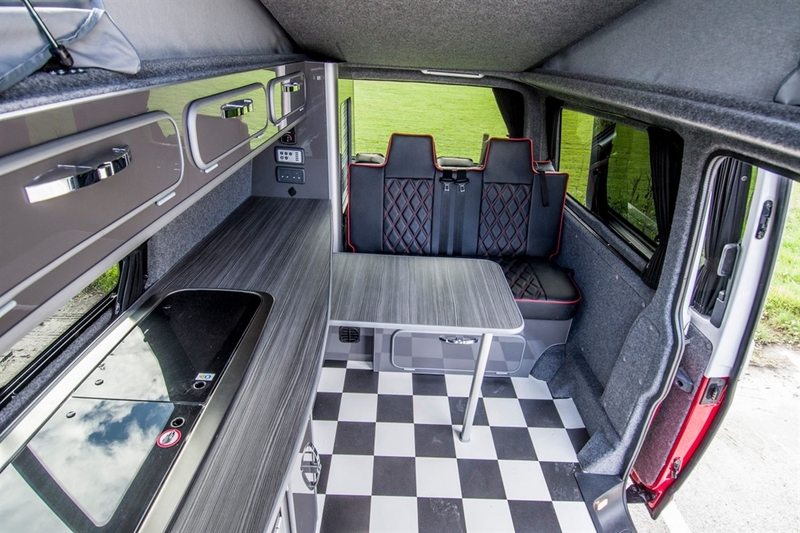 With cool 50/50 paintwork and chequered floors completing our beautiful vans. 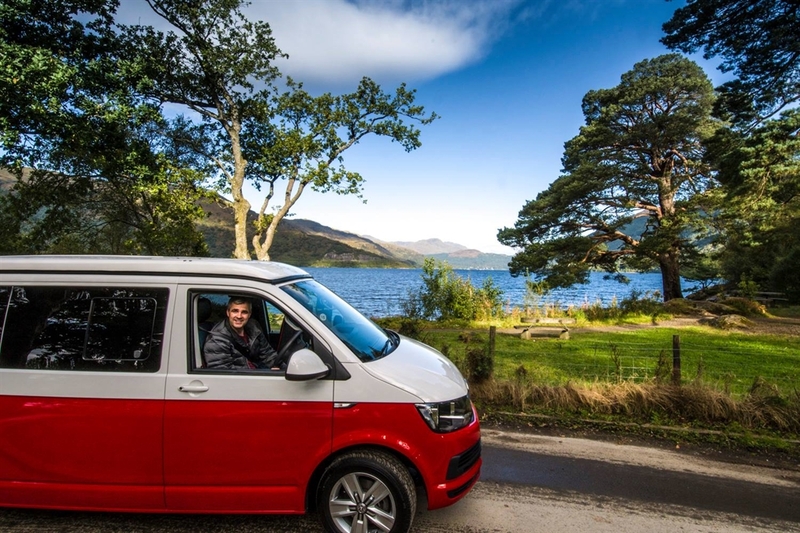 Explore Bonnie Scotland from £65 per night. 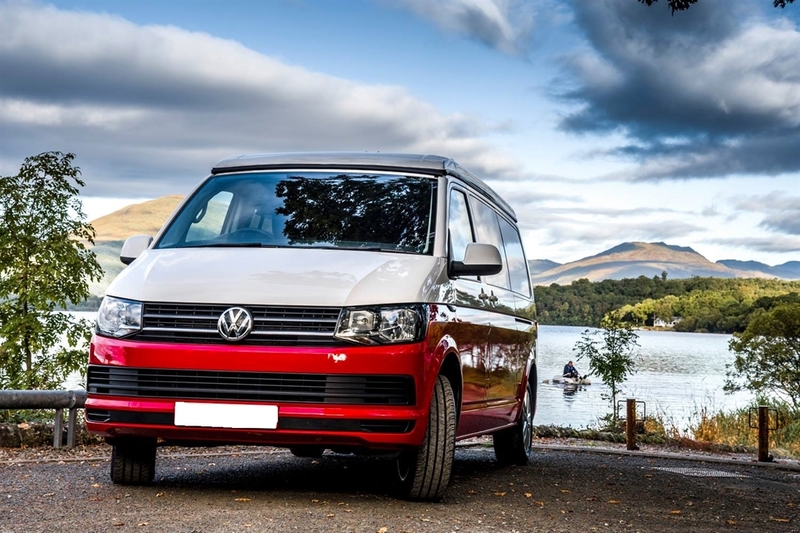 Located at the foot of the Campsie Fells, in the village of Milton of Campsie, ten miles from Glasgow, we have the perfect base for your Campervan holiday. 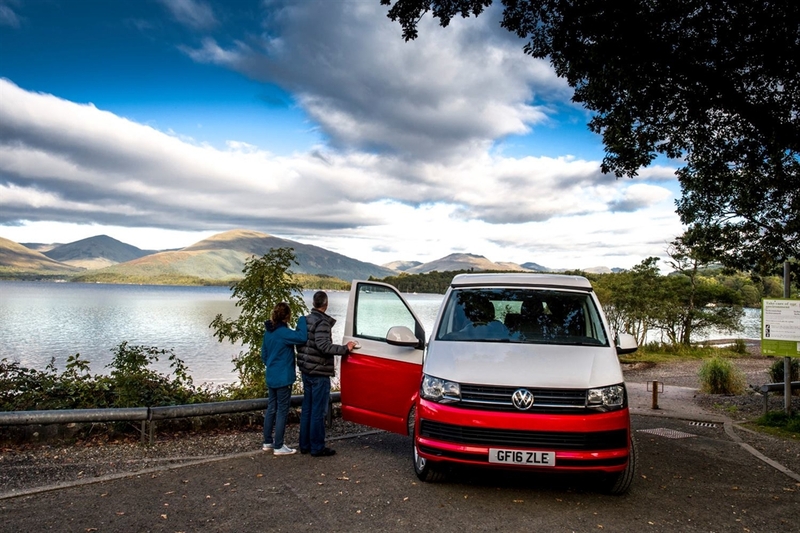 Loch Lomond and the Trossachs are forty minutes away and Glasgow airport a 30 minute taxi ride. We are happy to arrange airport transfers. 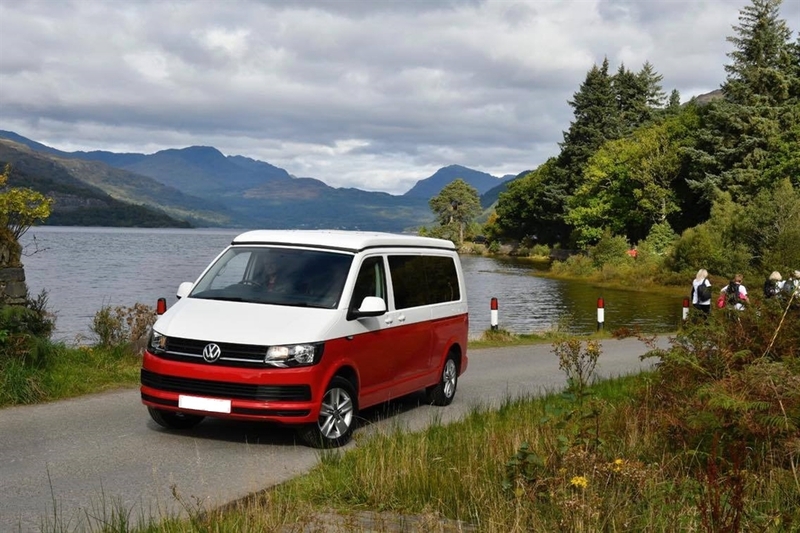 Our spacious modern Vw Campervans have Sat Nav, a rear reversing camera with bluetooth and front and rear sensors to take the stress out of driving. Leather seats add that touch of luxury too. 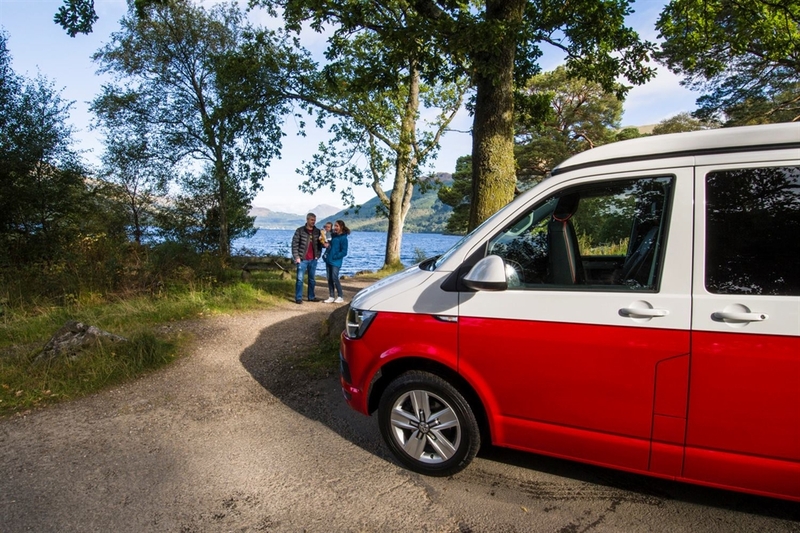 Our Campervans sleeps four adults and can transport five people. 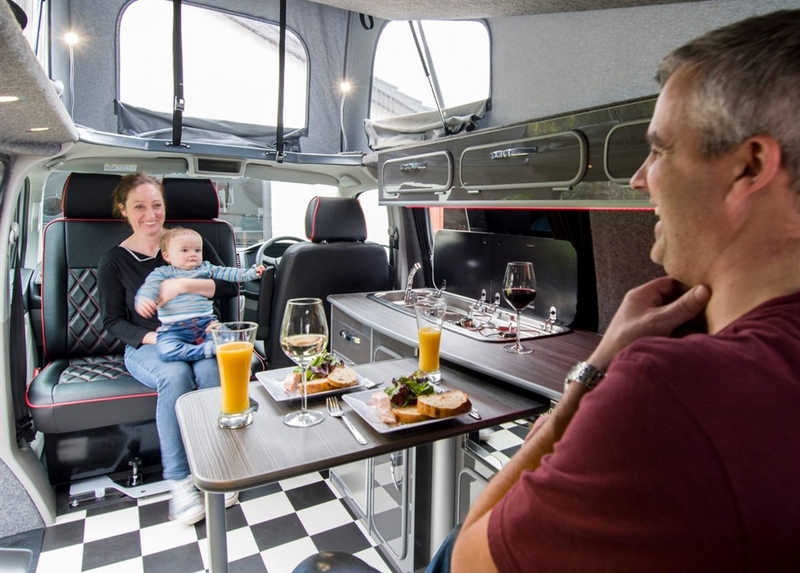 Pop the roof to get the bed with a view and provide extra headroom in the stunning kitchen/living area. 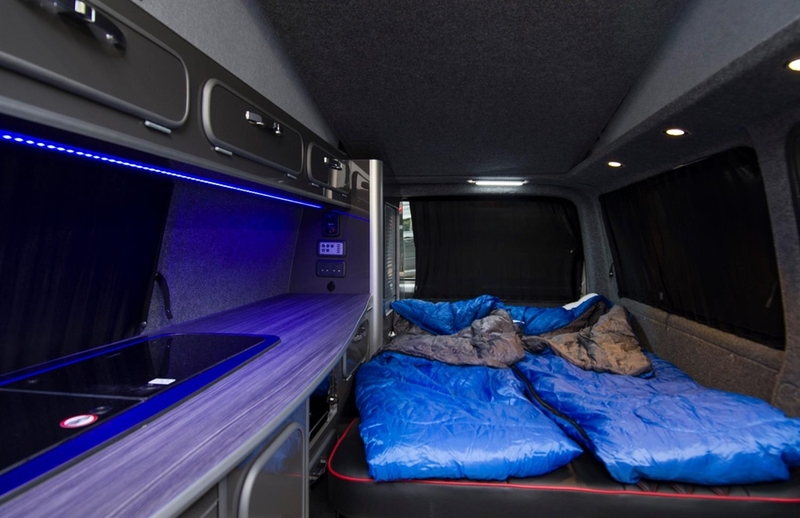 The double bed folds away to make room in the living area, if you need extra space we have a pop up drive away awning available too. 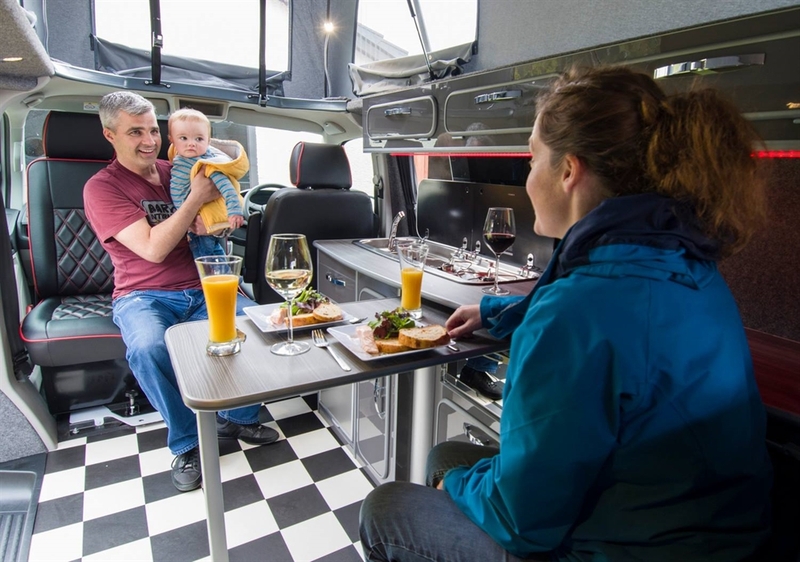 The cooking facilities are a gas hob and grill, there is also a fridge and sink for the washing up. Tinted windows with curtains provide extra privacy. We can help plan your perfect road trip. 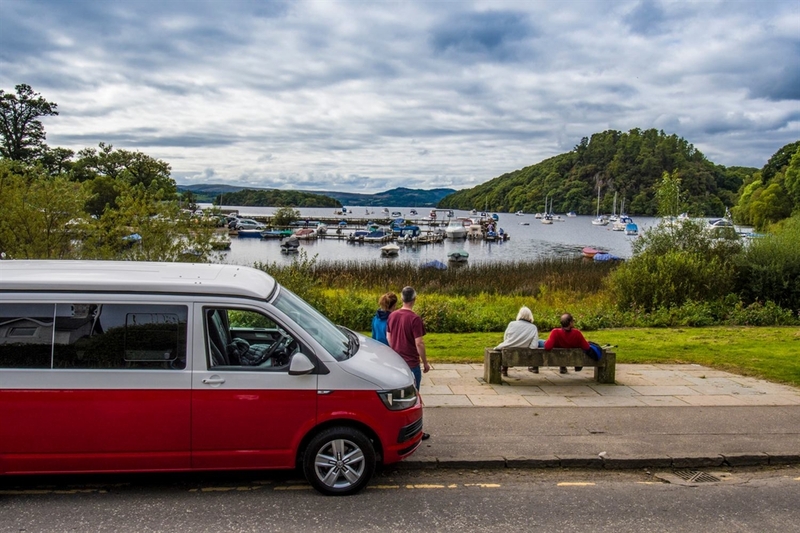 You might fancy exploring Hebridean islands with their crystal clear waters or a castles trip in the north east? 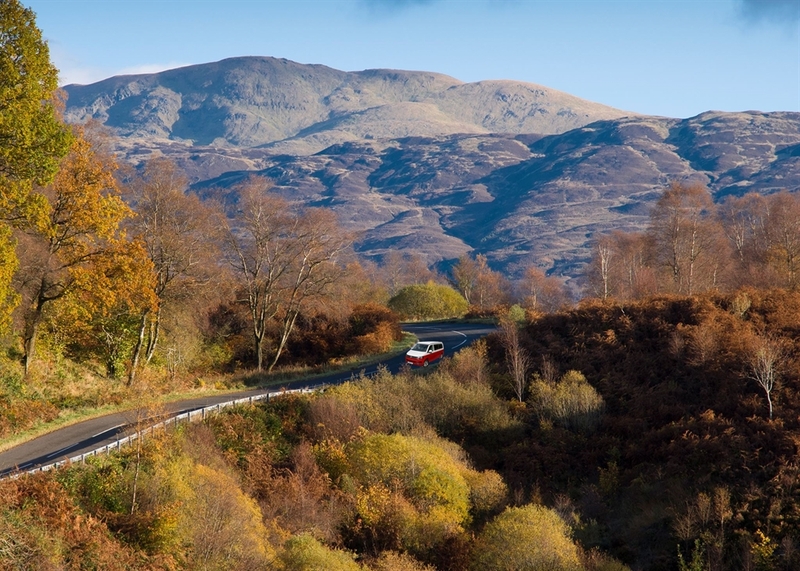 Driving routes like the North Coast 500 or South West 300, the choice is yours - we would love to help suggest some memorable stopping points. 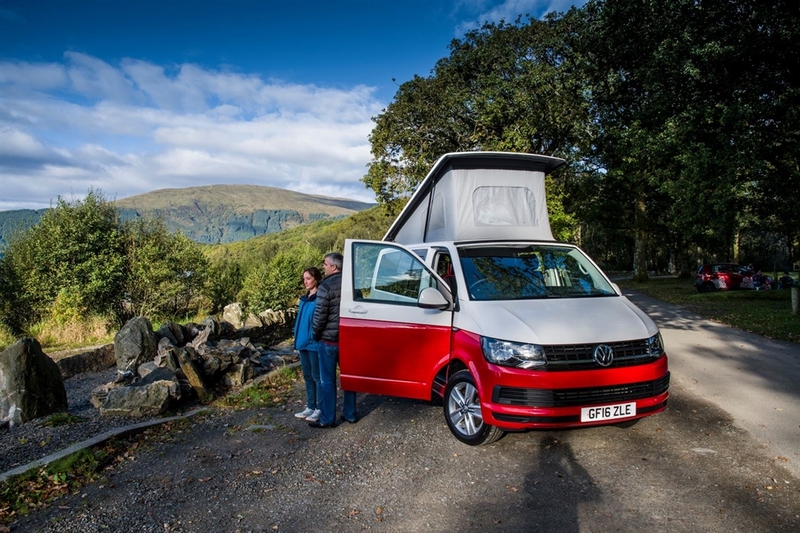 With prices from £65 per night, check out our availability on the website and if you have any queries or would like to check out the Campervan at our depot please just get in touch we would be delighted to help.